As a bonus to our Wildcat family, Hailwildcats.com is offering the discounted 2+2+1 rate of $735.00 which guarantees you 2 Round trip Airline Fares (*Baggage Fees are separate), 2 Game Tickets, Transportation while in Texas and a hotel room on Saturday night. So grab another Wildcat Fan, and travel with us. If you are traveling by yourself, for the low 1+1+1* share rate of $380.00, you will be guaranteed a Round trip Airline Fare (*Baggage Fees are separate), 1 Game ticket, transportation while in Texas and a Hotel room share* on Saturday night in a Dallas, Texas hotel. If you have a Game ticket, you can secure your Round trip Airline Fare (*Baggage Fees are separate) transportation while in Texas, and a Saturday night hotel room share* (1+1*) for $365.00, and for 2 persons, (2+1) $705.00 which will guarantee you 2 Round trip Airline Fares (*Baggage Fees are separate), transportation while in Texas, and a Saturday night King/Double Bed hotel room. We will depart Daytona Beach at 8:00 a.m. for a 9:00 am arrival at Orlando International Airport on Saturday September 10th (if you would like you may meet us at the airport), the flight will depart Orlando (OIA, MCO) at 11:11 am and arrive in Dallas, Texas at 1:02 pm. Upon arrival in Dallas we will proceed to the hotel to check-in and change. We will depart for Apogee Stadium in Denton, Texas at 4:00 pm. At the conclusion of the game we will travel back to the hotel Dallas. The outbound flight back into Orlando will depart Dallas Sunday September 11th at 11:25 am and arrive in Orlando at 3:00 pm. *Hotel Room Share – Share/paired in a double bed room with a fellow Wildcat in a 4 star hotel. A $125.00 per person deposit is due immediately to secure Airline rates/arrangements. We encourage the use of PayPal for a fast, safe, and convenient method of securing your arrangements. We have attached the PayPal links/options below for your convenience. You do NOT need a PayPal account to complete your transaction. If you prefer to pay with cash or with Credit/Debit card in person or over the phone, please coordinate with Darold Williams at the number below. Checks will NOT be accepted. When completing the information in Paypal, please include Names, Date of Birth, and Gender of all persons traveling. This trip and arrangements are time sensitive so please book today! If you have any questions, please call or text Darold Williams at 904-351-8381. Sat, Sep 24 Savannah State * Savannah, Ga. Sat, Oct 08 South Carolina State * Orangeburg, S.C. Sat, Oct 22 Norfolk State * Norfolk, Va. Sat, Nov 05 Morgan State * Baltimore, Md. Sat, Nov 19 Florida A&M * Orlando, Fla. Already have your Game Ticket? HAPPY NEW YEAR BCU Family & Friends! as we support our Marching Wildcats in their quest to win the 2016 Honda Battle of the Bands in Atlanta, Georgia January 30th, 2016 at 3:00 pm in the Georgia Dome. The Honda Battle of the Bands was created to celebrate, support and recognize the excellence of Black college marching bands and the unique academic experience offered by Historically Black Colleges and Universities (HBCUs). Honda annually awards more than $200,000 in grants to participating marching bands during the program period. Eight bands are chosen to advance to the Honda Battle of the Bands Invitational Showcase. The Invitational Showcase features musical performances from these eight HBCU marching bands. 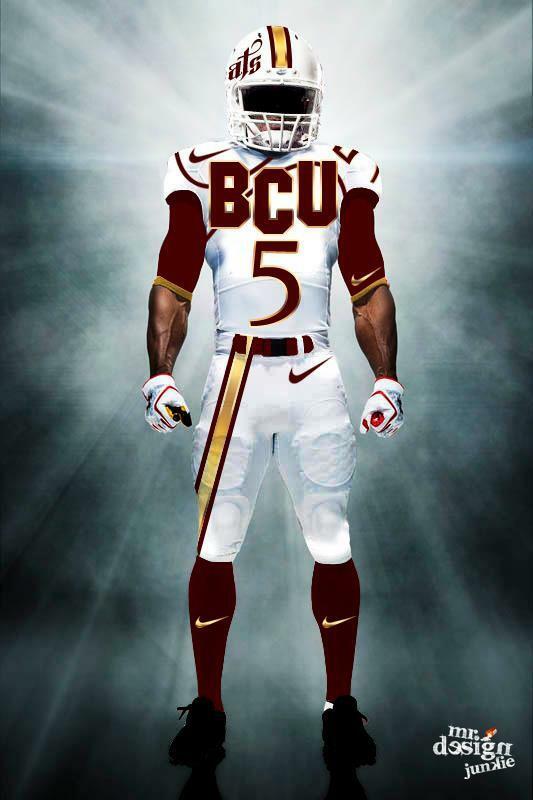 As a bonus to our Wildcat family, Hailwildcats.com is offering the discounted 2+2+1 rate of $290.00 which guarantees you 2 bus seats, 2 2016 Honda Battle of the Bands tickets in the BCU section, and a hotel room on Friday and Saturday. So grab another Wildcat Fan, and get on the bus with us. If you are traveling by yourself, for the low 1+1+1* share rate of $170.00, you will be guaranteed, transportation to and from the 2016 Honda BOTB, a 2016 BOTB ticket in the BCU section, and a Hotel room share* on Saturday night in a Buckhead hotel. If you already have a BOTB ticket, you can secure your transportation to and from the Honda BOTB and a Saturday night hotel room share* (1+1*) for $150, and for 2 persons, $250.00 which will guarantee you 2 bus seats and a Double Bed hotel room. We will depart Daytona Beach at 5:00 a.m. on Saturday the 30th and arrive in Atlanta around 12:00 pm on Saturday the 30th. We will make stops along the way for breaks and lunch. Upon arrival we will check into a Buckhead hotel where we will reside Saturday night and then head to the Georgia Dome for the BOTB. We plan to depart Atlanta at 10 am on Sunday the 31st heading to Daytona Beach and will stop for lunch, ETA: Daytona Beach 6 pm. Seats are available on a first come, first serve basis and are filling fast. No seats are guaranteed until final payment has been received. All sales are final! *Hotel Room Share- Share/paired in a double bed room with a fellow Wildcat in a 4 star hotel. We encourage the use of PayPal for a fast, safe, and convenient method of securing your seat. We have attached the PayPal links/options below for your convenience. You do NOT need a PayPal account to complete your transaction. If you prefer to pay with cash or with Credit/Debit card in person or over the phone, please coordinate with Jerry Bell or Darold Williams at the numbers below. Checks will NOT be accepted. Seats are filling up quickly, so be sure to lock yours in today. If you have any questions, please call or text Jerry Bell at 407-494-5302 or Darold Williams at 904-351-8381. *Bus Amenities – Luxury Bus, Comfy Seats, Power Outlets at every seat, DVD Player, Tv Monitors, Bathroom, PA System and much much more! The strength of this year’s Wildcat squad is the defensive “back seven”. The Cats return 4 linebackers and 3 defensive backs who started at least 2 games last season. The top 6 tacklers are all back, 5 of whom are either defensive backs or linebackers. has since graduated but the Cats will look to M. Williams for leadership and production in the defensive backfield. Although he did not start a single game in 2010, M. Williams finished the year with 6 INTs, was fourth on the team in total tackles, and was voted as a first team All-HBCU performer by BoxToRow/BASN. Returning starters Aaron Bagsby (FS) and Daniel Rhodes (CB) join M. Williams in the defensive backfield. Bagsby and Rhodes ended 2010 5th and 6th respectively in total tackles. DJ Howard started two games in 2010 before suffering a season ending injury. Howard is a versatile athlete who can play both safety and corner. 3 Star recruit Dion Hanks participated in eight contests as a true freshman and will likely see increased playing time this year. Jean Fanor, Cincinnati transfer Quincy Quetant, North Carolina Prep signee Marquis Drayton, and incoming true freshman Nick Addison are all likely contributors in this year’s secondary. Ryan Lewis (81 tackles, 4 ints, and 5 sacks) and Reggie Sandilands (81 tackles, 1 int, and 3.5 sacks) team up to lead what is arguably the best linebacking corp in all of HBCU football. Lewis has been named as the preseason MEAC Defensive Player of the Year and a 2nd team All-American by the Sports Network. Sandilands has received his share of preseason recognition as well being named on the first team All-MEAC defensive squad as well as on several watch list. Lewis and Sandilands share a rather symbiotic relationship. Both players are entering their third year as starters for the Wildcats and their height (6-1), weight (220), and playing styles are nearly identical. Both players even have flowing dreadlocks hanging from their helmets as they chase down opposing running backs. The superlative duo will be joined by returning starter Rock Angrand and capable backup Jarkevis Fields. The linebackers possess great closing speed, they do a very nice job of shedding blockers, and they’re very instinctive. Rutgers transfer Al-Ghaffar Lane will add more speed, athleticism, and depth to this already talented bunch. There really are no glaring weaknesses amongst this group. Our grade- A. There is an old adage in sports that states “defense wins championships”. Perhaps that’s true, but the last I checked the team that scores the most points wins the game. In this article we take a look at the units responsible for scoring touchdowns; the quarterbacks, running backs, and wide receivers. Eddie Poole (pictured) scored 9 TDs in 2010. Maurice Francois and Courtney Keith are former Option quarterbacks who transitioned to wide receiver last season. Keith and Francois’ athleticism and football instincts allow them to make up for their inexperience at the position. They are dynamic playmakers who are electric with the ball in their hands. Both players should progress in their 2nd year as wide receivers. Randy James and speedster Preston Cleckly are also expected to see playing time at the position. Sophomore Jordan Murphy provides the Cats with a sure-handed target at the tight end position. Despite being a backup last year, Isidore Jackson led the squad with 11 touchdowns and only Matt Johnson rushed for more yards. The offseason signing of Ole Miss transfer, Rodney Scott, means Jackson will likely have to share carries again this season. The success of Brian Jenkins’ second season as a head coach will depend heavily on his team’s quarterback play. Gone is the reigning MEAC Offensive Player of the Year Matt Johnson. Jackie Wilson, David Blackwell, and Quentin Williams will look to replace Johnson as the primary signal caller. Jackie Wilson is the only one of the three that has taken a snap from center against FCS competition. Last year Wilson completed just 47 percent of his passes throwing 3 TDs and 2 INTs in the process. Blackwell played quarterback for Iowa Western Junior College in 2009 before redshirting at BCU in 2010. Although Blackwell and Wilson both took snaps with the first team during spring drills, Coach Jenkins has yet to reveal which player enters fall camp atop the depth chart. True Freshman Quentin Williams, the 2010 Florida “Mr. Football” award recipient is already the most popular quarterback on campus. Williams is the state of Florida’s all-time leader in TD passes (109) and passing yards (10,384). Yet “major” FBS schools were slow to offer him a scholarship because of his height (6-0). Williams is extremely poised, he has a very strong and accurate arm and he is a threat in the running game. A source close to the Wildcat program has stated “Williams will have a chance to play quarterback on Sundays when his college career ends”. Quentin Williams is certainly the future of Wildcat football but the immediate question is ‘is he ready to contribute right away’? The Wildcat Quarterbacks are a talented but unproven bunch. Our preseason grade is a D+. It’s only fitting that we start our preseason preview by highlighting the units that are traditionally the most overlooked; the offensive and defensive lines. The Wildcat offensive line had their share of struggles inside the Redzone in 2010. It’s hard to know if their redzone woes were a result of play-calling, scheme, or execution. What is known is that this unit must iron out their redzone issues and produce better results inside their opponents’ 20 yardline if they hope to improve upon last year’s success. Last year’s defensive front was solid. They didn’t get pushed around, but they didn’t make as many “splash plays” as the faithful would have liked. They also seemed to struggle getting lined up properly from time to time. However, this description of the group does not describe the play of defensive end Ryan Davis. The stud from Tampa Blake led the team with 6.5 sacks and shared the team lead for the most ‘tackles for loss’ with 14. The coaches believe he has next level talent and that offenses must account for him at all times. Erik Williams and Eugene Solomon are solid players who could blossom into difference makers in their 2nd year in this defense. The greatest void along this front a year ago was the lack of a consistent inside push against the pass and an interior anchor against the run. Harold Love, a Feather River Community College transfer, may provide the type of consistent productivity missing from the tackle position a year ago. He seems to possess the type of off-the-ball explosiveness required to be a disruptive force in the middle. But Love may not have been the biggest addition to the defensive line this past offseason. The Wildcats signed Coach Earl Lane to be their new defensive line coach. Yes, that Earl Lane; the former LSU defensive line coach who helped the Bayou Tigers earn a BCS championship and helped Glenn Dorsey win the Lombardi and Outland Awards in 2007. Salutations Wildcat fans. “Da Beach” (Daytona Beach) forecast calls for highs in the 90s with afternoon thunder showers. That could mean only one thing…football season is nigh. 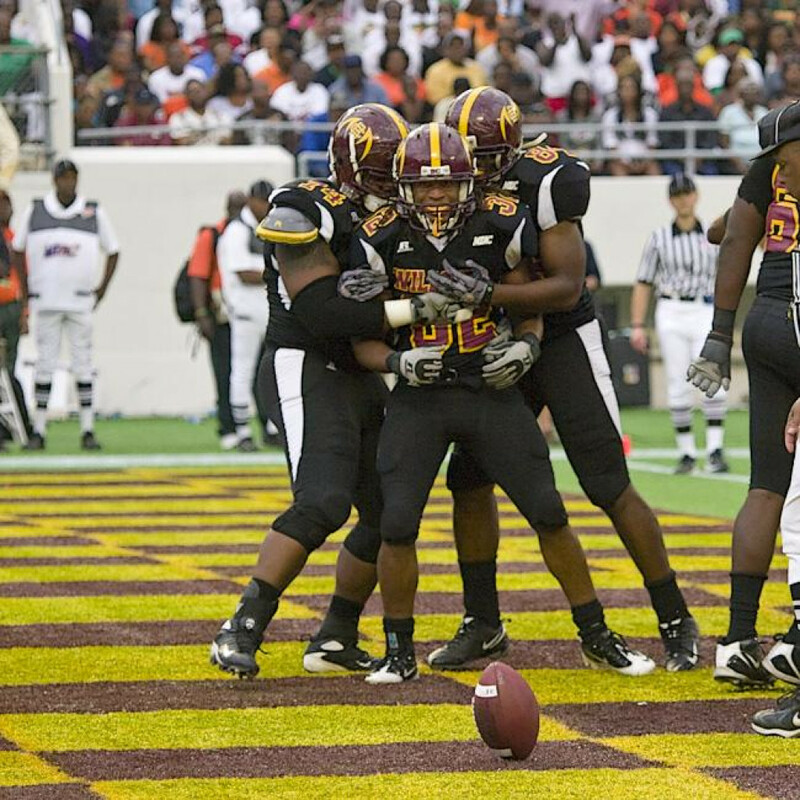 In less than 60 days, the Fighting Wildcats will begin their defense of their 2010 MEAC Championship and 2010 HBCU National Championship. To help satisfy your yearning for Wildcat football, we will breakdown each offensive, defensive, and special teams unit of the 2011 Fighting Wildcats. Following our position breakdown, we’ll preview the Cats’ opponents and provide our Outlook for the 2011 season. Be sure to visit often and comment freely. We would love to hear from you!